The only way, I can describe what Nick does other than manipulation is high level, code red, charm! ……If you ask Nick to say…. 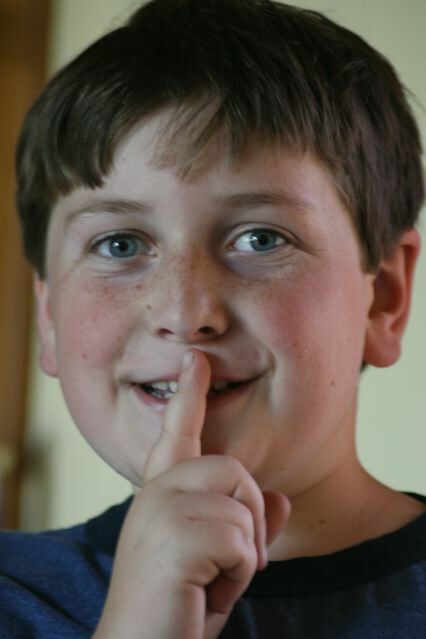 go get his backpack and start on his homework….he puts his finger to his lip and says, “shhh” with this mischievous look in his eye and then he says in a very quiet voice, “I’m winning”. It kills me and I try to hold it in, in my head I’m repeating don’t laugh…..don’t laugh…don’t laugh, but dude….he slays me so, I have to laugh! He’s not playing a game, dude what exactly are you winning? He’s winning my heart….that lil fart!